Evidence shows that families who experience food insecurity, pass down that psychological stress to their children. 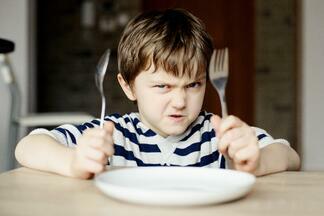 When parents are unable to feed their children, it leads to depression, aggravation, and anxiety. When parents are in this constant state, that psychological trauma gets passed down to their children; which can have a severe negative impact on child development and their over all well being. "Such circumstances have a direct negative impact on children’s behavioral development. For example, heightened parental depression and anxiety prompted by food insecurity has been linked to aggressiveness, anxiety and hyperactivity in three-year-olds." Considering that 40% of Americans are at risk of poverty, that is an overwhelming amount of our children put at unnecessary risk. In a recent article by Kevin Gee, an Associate Professor of Education at UC Davis and Minahil Asim, a PhD candidate in education policy at UC Davis, they highlight the detrimental impacts of parenting aggravation and how food insecurity negatively affects children's executive functioning by reducing their ability to pay attention and compromising their self- control. We have selected highlights from the article below, you can read the full article by clicking here. "Supporting food-insecure parents—by stabilizing their access to food, but also with broader psycho-social support—may ultimately have benefits for both parents and their children." Greater assistance is needed in our communities to support those persons who are food insecure to ensure a brighter future for our children tomorrow. 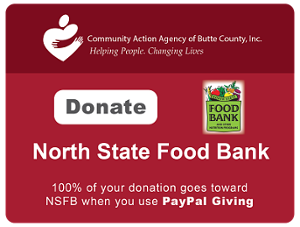 Here at our CAA North State Food Bank, we strive to do just that every day for our community- but more help is needed. Click here to find out more about how you can help us achieve this today!